HÀ NỘI — Vietnamobile Telecommunications JSC (Vietnamobile) has appointed Christina Hui, a representative from Hong Kong’s Hutchison Group, as its new CEO, succeeding Elizabete Fong. Vietnamobile was expected to officially announce information about Hui on April 9 after finishing legal procedures, according to Dân trí online newspaper. Hui has more than 25 years experience of management and operations in the communications field and customer care. Before becoming Vietnamobile CEO, Hui served as the director of support for transformation and high senior staff at Hutchison Asia Telecommunications Group. Elizabete Fong worked for more than seven years at Vietnamobile. After leaving Vietnamobile, Fong will assume the position of Planning and Strategic Project Director at Hutchison Asia Telecom. 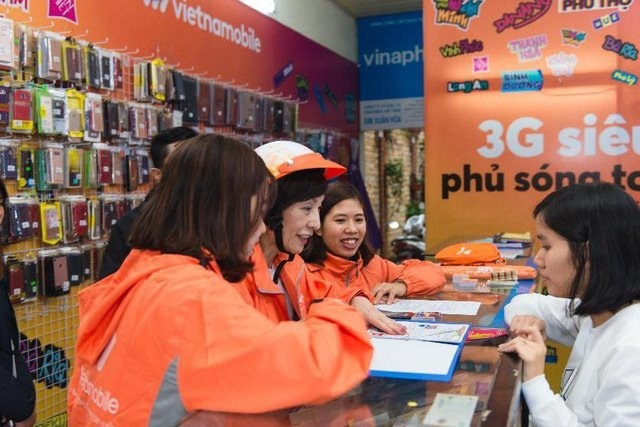 Started in 2009, Vietnamobile is the fourth largest mobile network operator in Việt Nam. It is the only foreign-invested mobile telecom operator in the country. Its two major shareholders are Hanoi Telecom Corporation and the Hong Kong-based Hutchison Asia Telecommunications Group.